HONG KONG — Leading lights of media have arrived here to take stock of the industry's present and future. 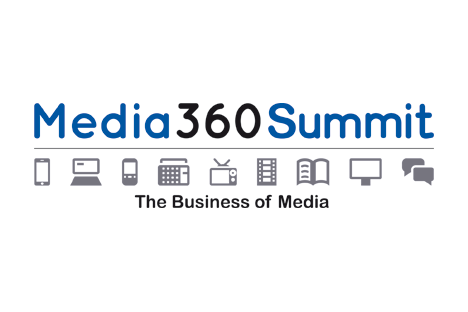 Now in its third year, the Media360Summit (formerly Media360Asia) takes place Thursday at the Ritz-Cartlon, Hong Kong. Ensuring content marketing delivers on specific business objectives. Tencent and Twitter are two companies with very different business models that have both been highly successful in developing the mobile space. Seventy-five percent of Twitter’s advertising revenue comes from mobile usage. The company has recently introduced tools that allow advertisers to coordinate their messaging with TV and tailor tweet targeting based on internet searches. In China, Tencent’s WeChat continues to move from strength to strength, recently having become a commerce platform in its own right. This session will examine what these organisations can learn from each other, and present lessons for the industry at large on thought leadership for digital trends in Asia. This session will present ideas as to how publishers can use RTB more effectively, and how to ensure buyers and sellers both benefit consistently from this technology. It will also examine how programmatic is changing the game for brands, for example by synchronizing media placements to hold people’s attention as they move among screens. Publishers have yet to fully embrace programmatic. In fact, some claim their income has been negatively affected by RTB. In order for RTB to really take off, this perception needs to be remedied. This session will examine how much of the problem is caused by programmatic itself and how much is down to a lack of understanding on the part of the publishers. Programmatic’s involvement in the area of content recommendation, for example, is helping publishers to monetise more than they could before. As the digital landscape continues to shift, marketers need to move away from campaigning at consumers and towards having conversations with them. In the embracing of a more humanised experience, attention is becoming the new currency measured by dwell time and engagement — not just the quick drive-by of a ‘like’ or ‘follow.’ In what promises to be a dynamic, energetic and entertaining presentation, Shing will take an insightful look at digital trends, how they are affecting behaviour and what’s next on the digital journey roadmap. Executive debate: What’s next for the industry? Every year is a year of change for the media industry, but it is possible to identify commonalities that can lead to an understanding of the bigger picture. Three agency heads will share their insights. There have been endless discussions around data in recent years, but discussion and data alone do not yield results. Only now are we finally starting to see brands use the mass of data at their disposal to achieve real discernible business outcomes. Most importantly, the marketers that use data intelligently have an opportunity to raise marketing’s position and give it a seat at the top table. The speakers aim to cut through the academic discourses to look at how marketers are using consumer data gathered through media to drive revenue for their companies. Three talented young entrepreneurs will break down how to think and act like an entrepreneur, how to make sure you are agile and how to challenge the way business decisions are made. Attracting and retaining key talent depends on creating a culture with a sense of purpose and mission, rich in opportunities for learning and developing skills, and an upside in the success of the venture. This presentation aims to increase understanding of how key talent can compare working for startups, content companies, consultants and established marketing services companies, and how to better attract and retain key talent. In today’s new talent economy, high-potential talent is instinctively drawn to the world of startups and Internet giants, where the individual is king and creative thinking and entrepreneurial spirit rule. Top talent rejects established companies where they feel there’s little opportunity to shine or affect change. At the same time, the talent pool is shrinking, making it harder for companies to hire their way to the future. How do we adapt to this new environment? In this talk, Bonin Bough, VP of Global Media and Consumer Engagement at Mondelez International, will discuss why it’s critical for large companies to start turning their own talent into rockstars in order to compete. Content marketing is here to stay, and the industry largely agrees that this is a good thing. What it fails to agree on is how to use content strategically. In many cases, its rise has given marketers licence to indulge themselves in pursuits that aren’t necessarily in line with brand or business objectives. The question is, what results are their efforts having in real business terms? The session will examine the current state of content marketing from the perspective of money and achieving strategic goals.